The month of February gets its name from the Latin februum, meaning Purification. The ancient Romans dedicated the month for closures and prayers and purification. The purification rituals were held on the 15th, which was the full moon. I consider snow to be cleansing to the planet. This month has been pretty snowy so far, so it is holding to the idea of purifying in the month of February (in my mind anyway, lol). I also recently purchased a new candle water fountain. My old one bit the dust, I could have just replaced the pump, but it was looking pretty rough after almost 7 years of use. I found one similar to it on Ebay, which made me very happy. When it is lit it creates a nice moving watery light on the ceiling and I can really go into meditation mode with it and my mp3 player playing the guided meditations that I enjoy so much. The next thing I will be doing is a whole house deep purification. This will include a good deep cleaning with essential oils and an excellent whole house smudge with frankincense, cedar, and sage. I'll make sure that I get every nook, cranny and corner. The frankincense is a great energy cleanser.The sage will help remove energies that are stuck. Cedar is an energy cleanser and will add protection from the bad energy. All three of them will raise vibrations. After burning the "cleansers", I'll burn the sweetgrass to bring in some positive vibes. One of the best things to do to purify yourself is to drink lemon ginger water upon rising. Especially if you are a woman. I've had wacky hormones since the Lyme disease and lemon water is a great flusher and purifier. I drink 8 ounces every morning. If you don't want the ginger in it, lemon water is still excellent. Dandelion tea. Dandelion tea will love your liver, and therefore your liver will love you. Herbs that are good for purification, and they will also add a few good things to your home such as protection, peace, love, and prosperity. Citrus is also very cleansing and purifying. The floor wash that you can make is a great floor wash. Last year I had a great overabundance of basil, so I made some orange/purple basil cleanser. It was fabulous. I followed the same procedure, but I just added in around a cup of basil. This is a great purification recipe for an incense or potpourri. After the home is all fresh and cleansed then I will cleanse, charge, and place a few crystals. A great book to read for further ideas is Magical Housekeeping by Tess Whitehurst. I absolutely love this book. 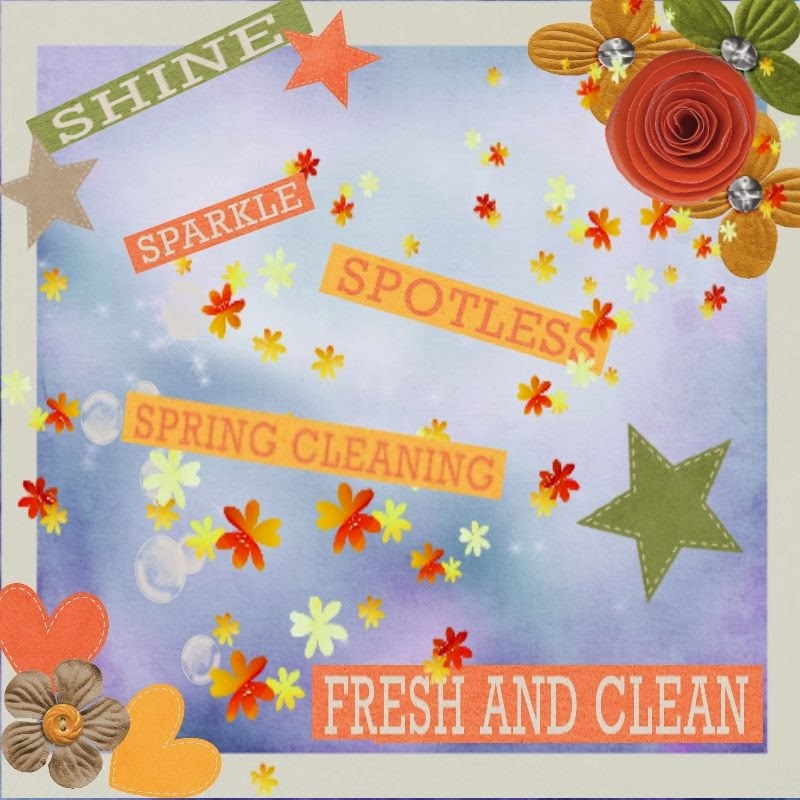 I am excited about my Spring cleaning this year. It seems that winter has been a little longer, and I am looking forward to welcoming the lightness. Tell me what you do to welcome Spring into your home. Ooo, that citrus vinegar looks lovely! I will have to try that! 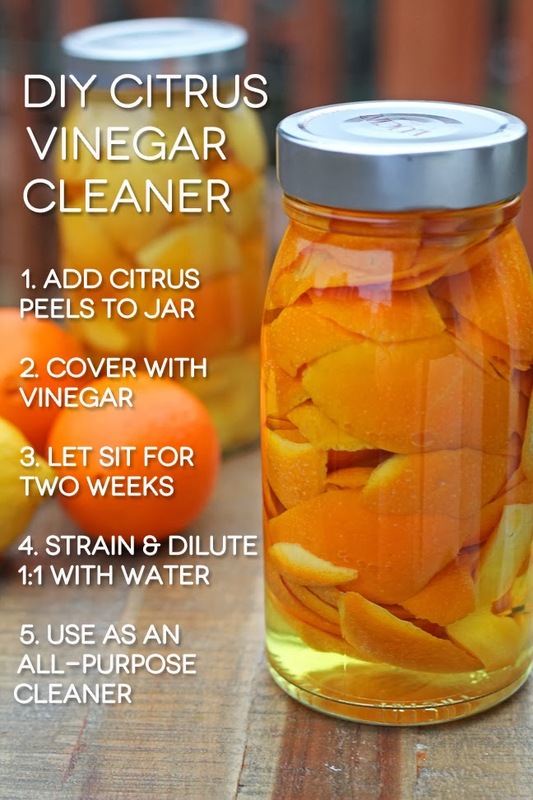 The citrus vinegar is wonderful! It has a refreshing scent!